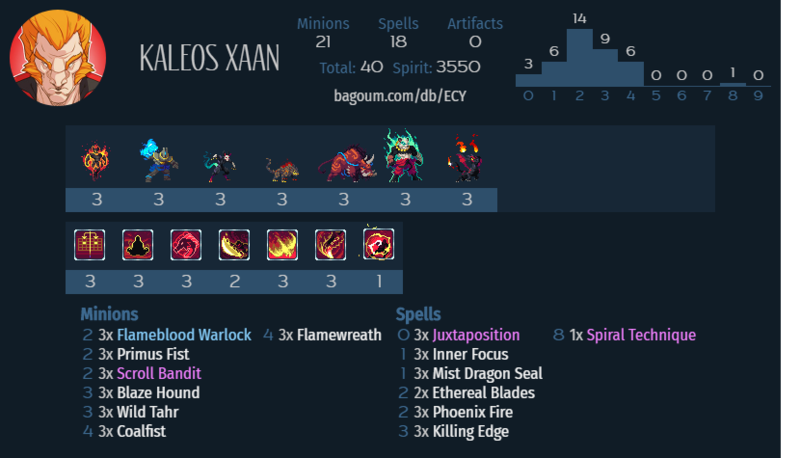 While Reva is the usual pilot for aggressive Songhai decks, Kaleos is also quite good. His BBS allows you to play relatively better-stated minions, relying on Blink to move them into position when the time is right. Flameblood, Fist, and Hound are all neutral aggro staples, offering burst damage and card flow. Bandit, Tahr, and Flamewreath are the special Kaleos package: Bandit is your primary card advantage engine and offers even more value when combined with Killing Edge for the cantrip. Tahr is amazing in a Kaleos list because of how difficult it is to play around. Even when its ability hasn’t triggered, the frenzy combined with your buff spells allow it to effectively control the board while simultaneously pushing face damage. Flamewreath is Kaleos’s signature card, and must be respected. It provides some amount of AOE damage the turn it’s played when combined with your movement spells, and then can completely take over or even end the game if it sticks for a turn. All of these cards are must-remove for your opponent, and you can pick up some free wins if the enemy can’t deal with them in a timely fashion. Finally, Coalfist is your finisher on the top end. While this card doesn’t see much play elsewhere, I’ve been quite impressed with its performance – it offers a lot of stats for its cost, and copies after the first provide some excellent burst potential. 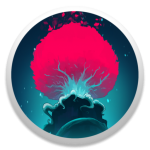 Juxtaposition, Mist Dragon Seal, and Inner Focus are Songhai positioning staples, while Phoenix Fire, Ethereal Blades, and Killing Edge provide raw damage at very mana-efficient rates. These cheap spells chew through your hand quickly, but also output a lot of pain. If you master the timing correctly, you’ll win a lot of your games just as you run out of steam. The one-of Spiral Technique is there to steal games in which your opponent has stabilized the board. This deck is competitive at the highest levels as presented, but if you prefer greater consistency at the expense of a somewhat slower deck (and have the spirit to spare), that can be achieved by swapping out some of the burst cards for more card advantage. some number of Phoenix Fires and Ethereal Blades -> some number of Grandmaster Zendo on the top end.